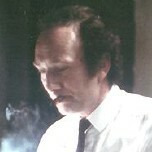 Across four decades, from 1959, Eric Tomlinson collaborated with many high profile composers including: John Barry; John Williams; Jerry Goldsmith and James Horner. He was admired for his ability to quickly obtain a balance and skillfully deliver a live mix during sessions. His work included Aliens, Brainstorm and Uncommon Valor.